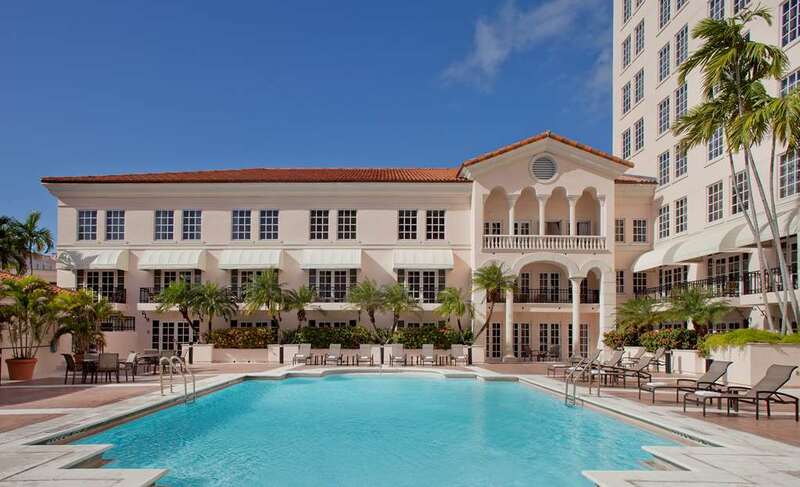 Located 4 km from Little Havana, 5 km from Coral Gables center, 10 km from Miami center, 10.5 km from shopping mall and 11.5 km from Miami Seaquarium Facilities and services include restaurant, bar, swimming pool, conference room, ball room, bar, gym, jacuzzi, sauna and 24-hour reception.Rooms feature TV, wireless Internet access, stereo, hairdryer, bathroom, air conditioning, safe, iron and ironing board.One King Bed room also features balcony.Terrace Suite features sitting area.Gables Suite features separate sitting and working area.Andalusia Suite wet bar and marble bath with spa tub. ** Please note that some of the above facilities may be closed due to weather / seasonal conditions. ****Double room with option to be used by 3/4persons (if booked). All of them sharing existing bedding, 2 pers 1 double bed, 3 pers or more 2 separate beds. **Address:50 Alhambra Plaza, 33134 Coral Gables,Florida, United States.